Stanley Hotel features 41,000 square feet of event space – from intimate rooms in The Lodge to large banquet venues. 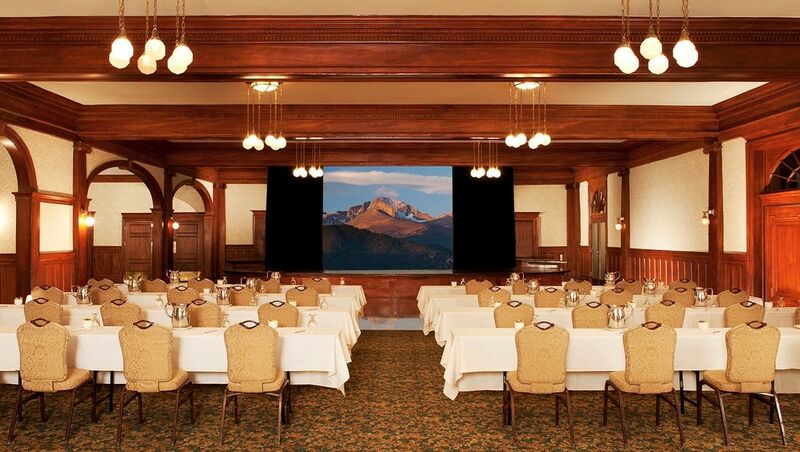 Stanley Hotel is the perfect holiday party venue for your group's celebration. Contact us today for more information on hosting a holiday party or private event. 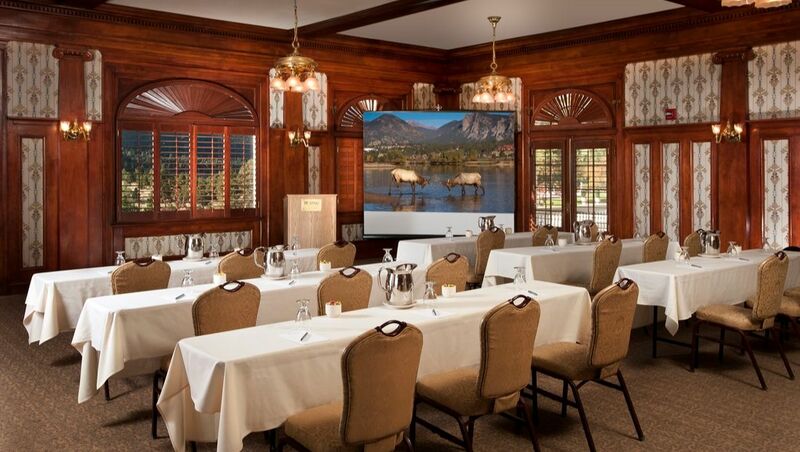 All indoor spaces at The Stanley Hotel offer air conditioning, picturesque views, classic finishes, wireless high-speed Internet access, complete audio-visual services and comprehensive meeting layouts. 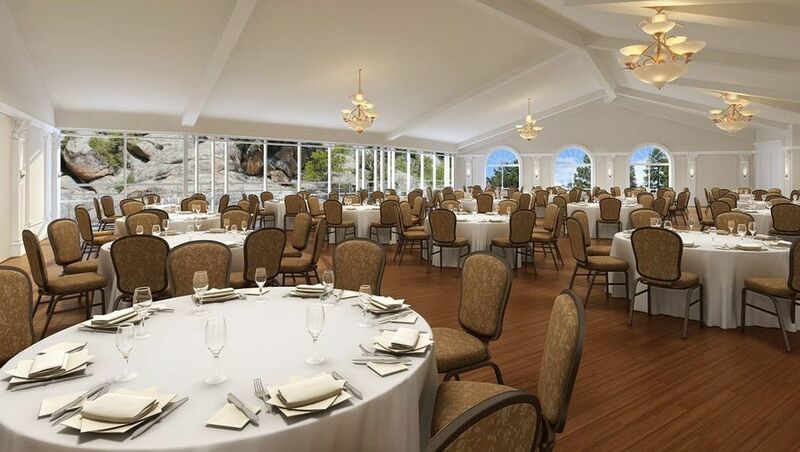 Accommodating up to 300 guests in an array of floor plans, the largest meeting space at the hotel measures 5,200 square feet and is located adjacent to the lobby and Cascades Restaurant. 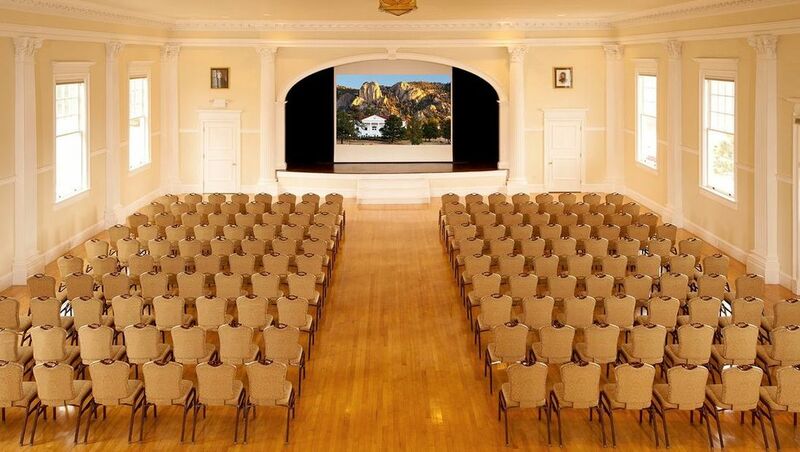 This spectacular 2,640-square foot hall with dramatic high ceilings, a large stage and its own veranda overlooking the mountains accommodates up to 300 guests. 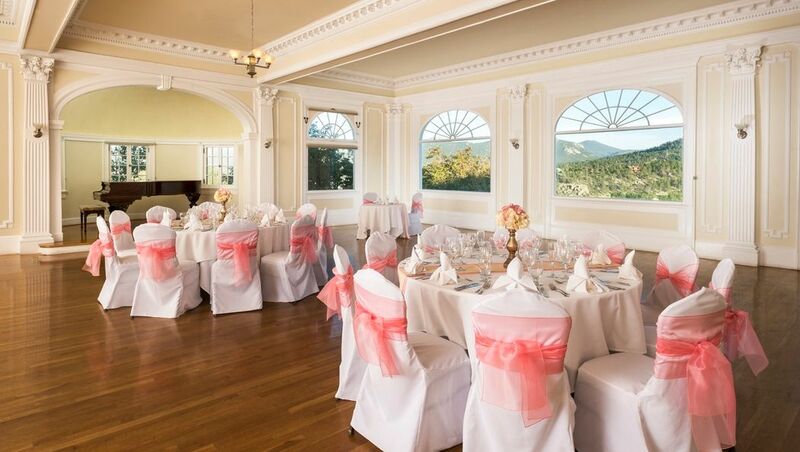 Featuring arched Palladian windows framing dramatic mountain views, a stage and French doors leading to two verandas, the 1,368-square foot Music Room is ideal for events of up to 130 guests. 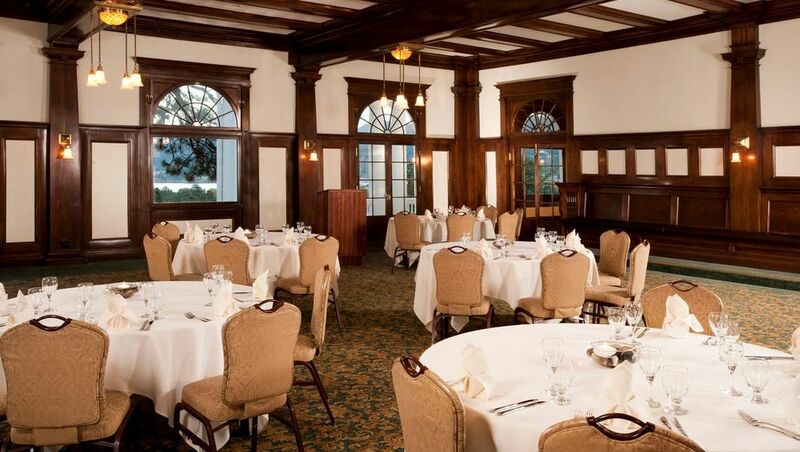 Measuring 1,360 square feet, the Pinon and Billiard Rooms are two connecting rooms featuring beautiful pinon woodwork. Accommodating up to 130 guests, both rooms have access to the east veranda. Warm and cozy, the 1,089-square foot Library is a beautiful, classically designed room with its own veranda. It’s a perfect setting for gatherings of up to 90 guests.